Rabbi Jon Adland is thrilled to be the new rabbi of Temple Israel. He comes to this position after serving congregations in Indianapolis, IN and Lexington, KY. Rabbi Adland was born in Washington, DC, and grew up in Chevy Chase, MD. He graduated from Washington University in St. Louis in 1976 with a BA in Psychology and Jewish Studies. During college he spent his junior year, 1974-75, on the One Year Program of the Hebrew University in Jerusalem. Following his graduation, Rabbi Adland returned to Israel to begin his studies in rabbinical school at Hebrew Union College-Jewish Institute of Religion. From 1977-1982, Rabbi Adland attended the Cincinnati campus of HUC-JIR receiving his M.A.H.L. in 1981 and ordination in 1982. In 1986, after serving as an assistant rabbi at Indianapolis Hebrew Congregation, Rabbi Adland moved to Lexington, KY, where he served Temple Adath Israel for 17 years. 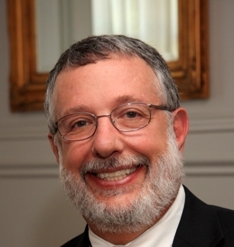 During his tenure in Lexington, Rabbi Adland was very involved in the general community including serving on the board of United Way, the board and president of Lexington Planned Parenthood, co-founder of the Interfaith Alliance of the Bluegrass, created the clergy campaign for the homeless, and for 15 years served as an adjunct professor at Lexington Theological Seminary. During his years at Temple Adath Israel, the congregation grew and created more and varied programs. 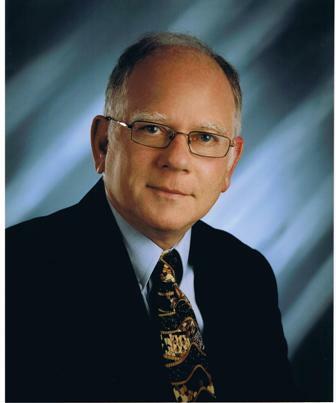 In 2003, Rabbi Adland returned to Indianapolis Hebrew Congregation as senior rabbi. During his tenure at IHC he was very involved in the Indianapolis community. He was chair of the Race and Cultural Relations Leadership Network, served on the boards of Planned Parenthood where he chaired the Advocacy Committee, Gleaners Food Bank, and the executive committee of Drug Free Marion County. He was a founding member of the Interfaith Hunger Initiative. Finally, he maintained an active involvement with the United Way. During his entire career, Rabbi Adland has served on the faculty of Goldman Union Camp Institute for more than 25 years including 9 years as dean of kallah alef. He has also been very involved with Reform Jewish Outreach and working with interfaith couples. In the 1990’s, Rabbi Adland chaired the Conversion Committee of the CCAR. Rabbi Adland married his wife Sandy in 1981. Her support in their life’s journey is an important part of his success. They are the proud parents of Joshua, who is married to Karen, and is currently attending the Kellogg School at Northwestern University and Rachel who is lives in Pittsburgh and works for American Eagle Outfitters. Along with his family, Rabbi Adland’s passions are fishing and woodworking. Rabbi John Spitzer was ordained from the Hebrew Union College-Jewish Institute of Religion (Cincinnati,Ohio) in1973. He served as Assistant and then Associate Rabbi of Congregation Shaare Emeth in St. Louis prior to arriving in Canton in 1981. He served Temple Israel as Rabbi until his retirement from the pulpit in 2008. During his twenty-seven year tenure at Temple Israel he was active in communal affair, issues of social justice, education and Zionism. Rabbi Spitzer has been honored with two honorary doctorate degrees and has earned a Doctor of Ministry degree from the Pittsburgh Theological Seminary. Currently, Rabbi Spitzer is an Associate Professor of Jewish Studies at Walsh University. He is blessed with his wife,Cheri. They have two sons and three grandchildren.